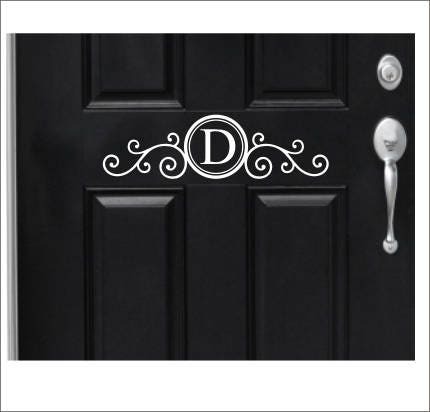 This gorgeous decal would be the perfect finishing touch to any front door! 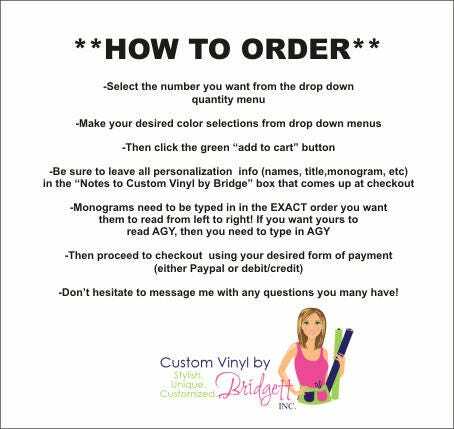 Vinyl is affordable and easy to apply. The ideal way to decorate almost anything! 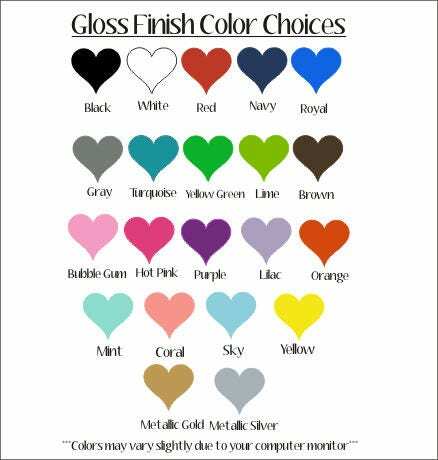 This listing is for the decal at 5" tall x 18" wide. Please make color and letter choices from drop down menu of options. So easy to apply and looks great!! I used this on a metal milk can! It looks fabulous! This is a great decal & I would have given it 5 stars except the paper the decal was on was cut crooked making it very difficult to get the decal straight on the door. The decal itself was of god quality and easy to apply once positioned. Very well made and easy to apply. Thank you!